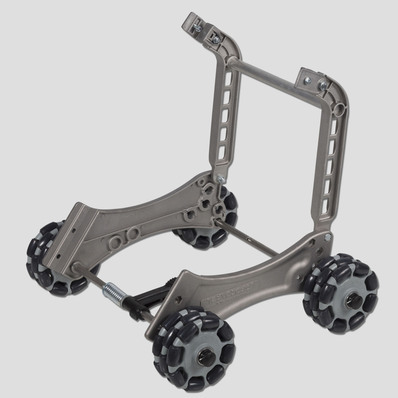 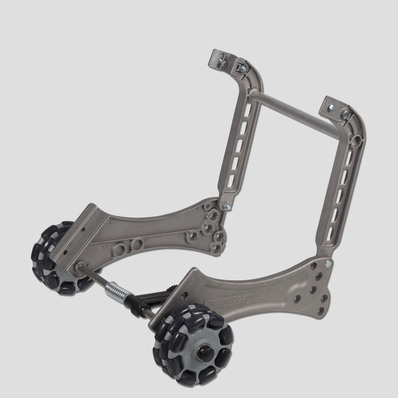 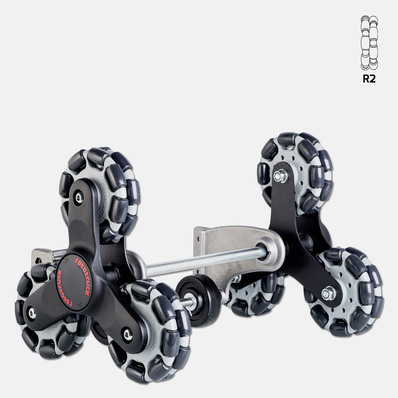 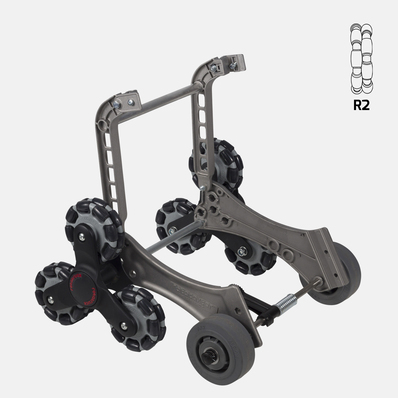 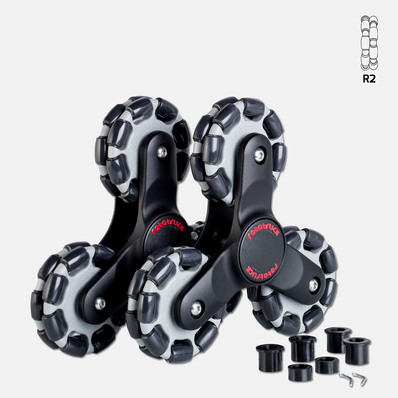 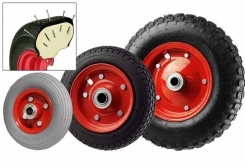 Stair Climbing Wheel Set with R2 Rotacaster multi-directional wheels. 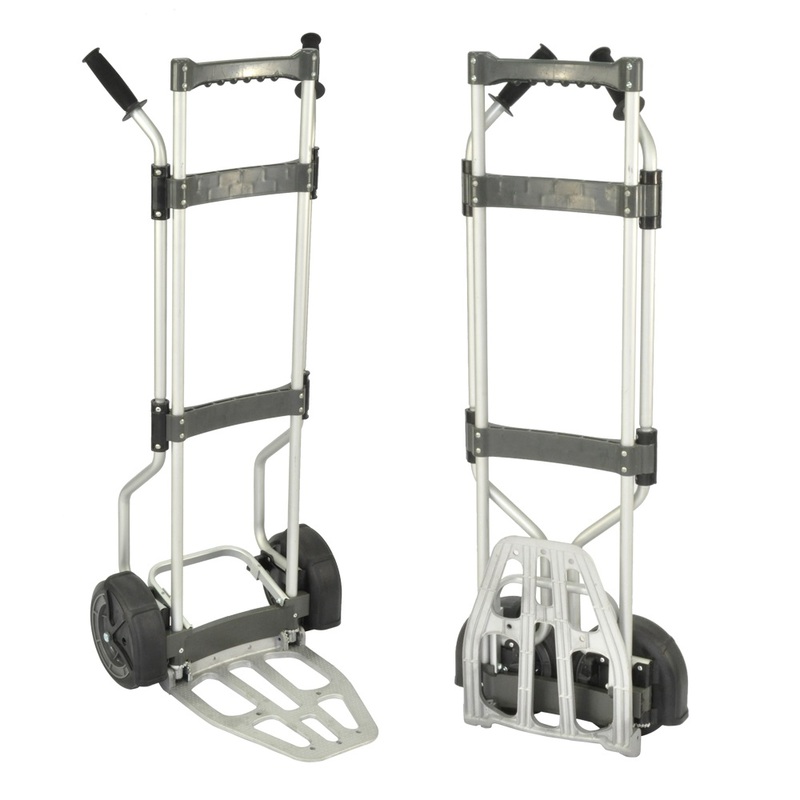 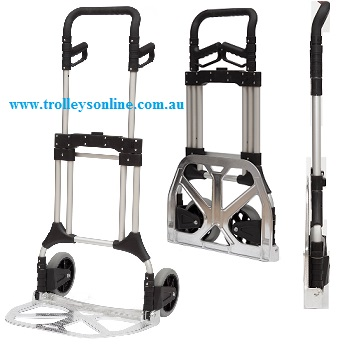 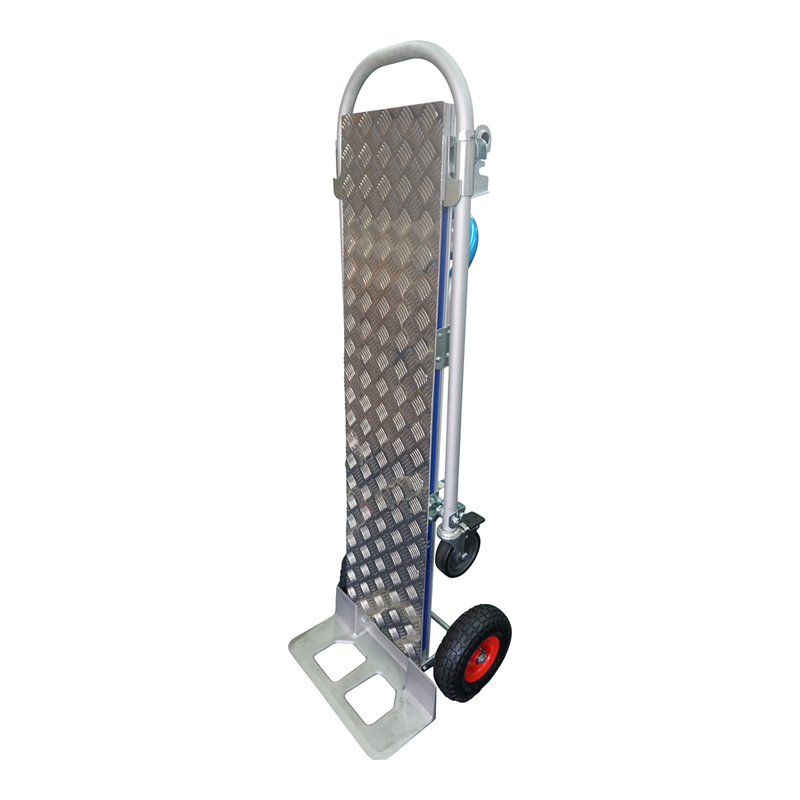 This Aluminium Hand Truck constructed of light weight aluminum curved back frame with moulded cross members for circular objects. 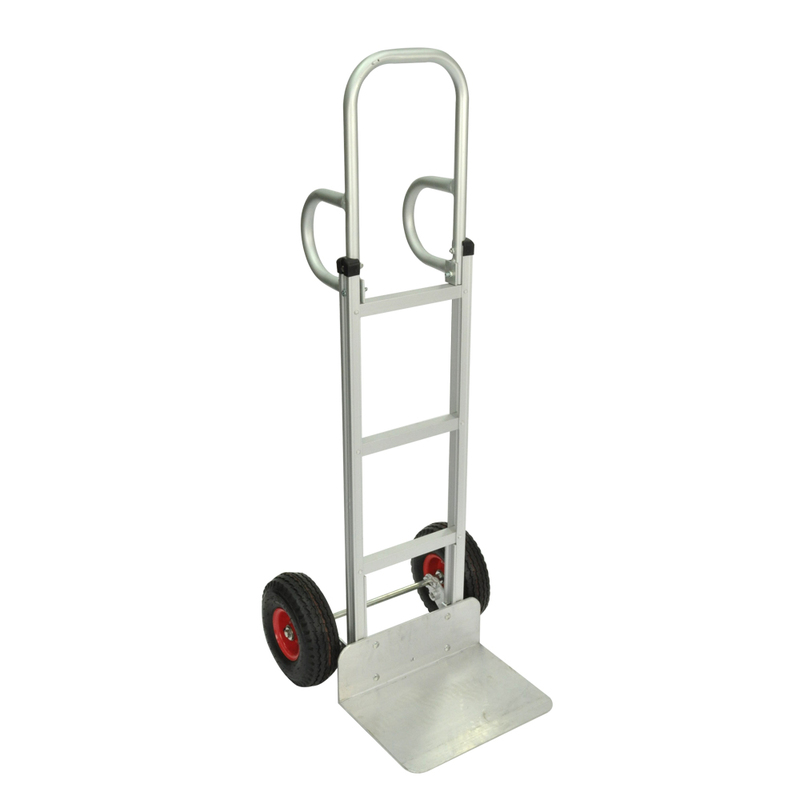 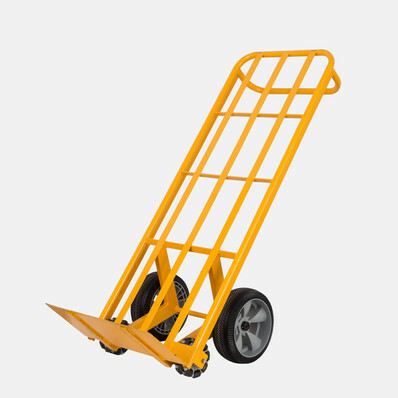 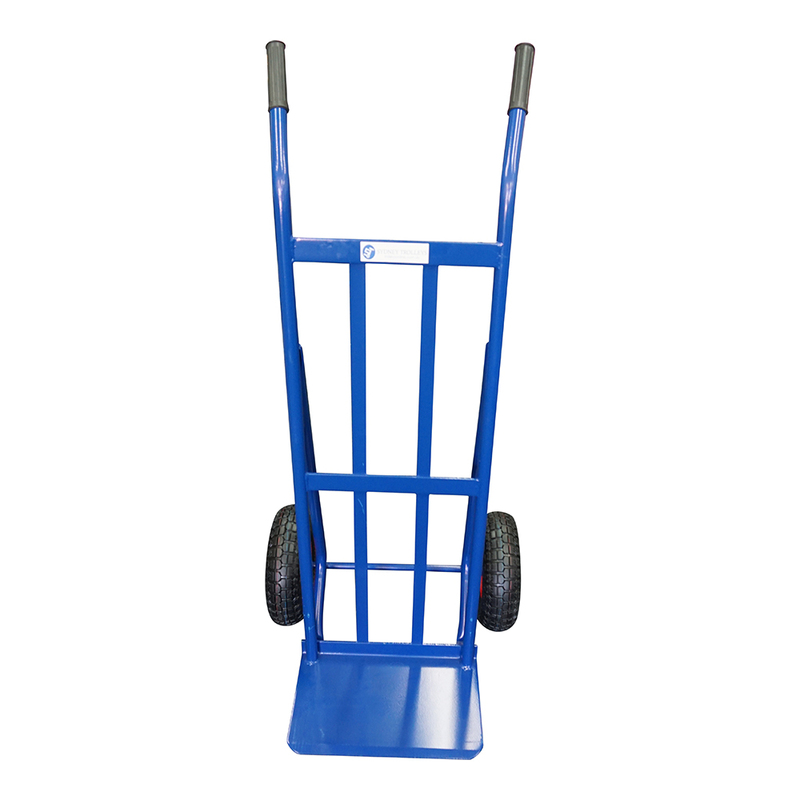 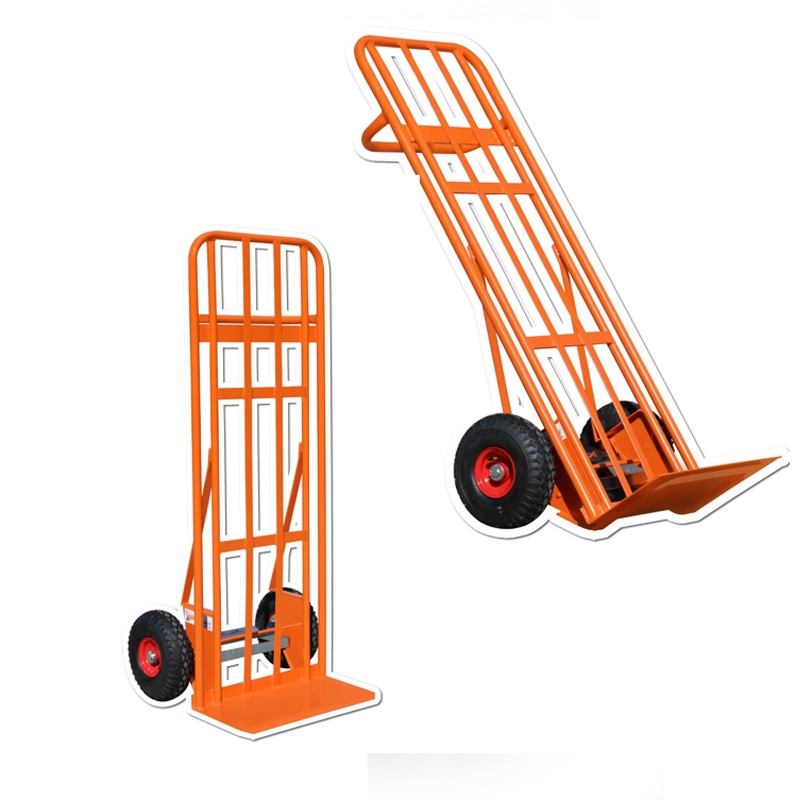 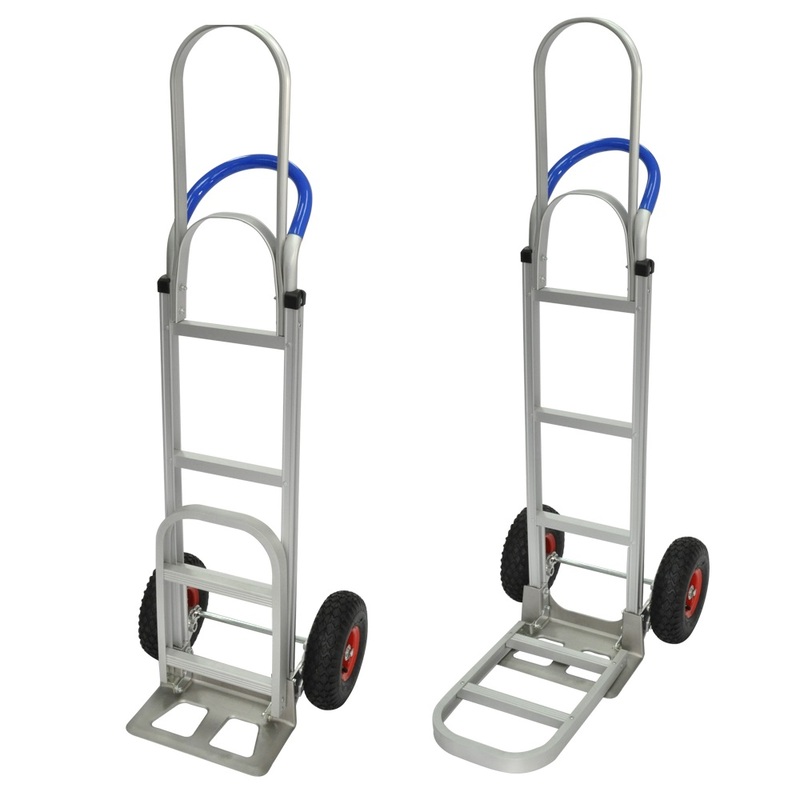 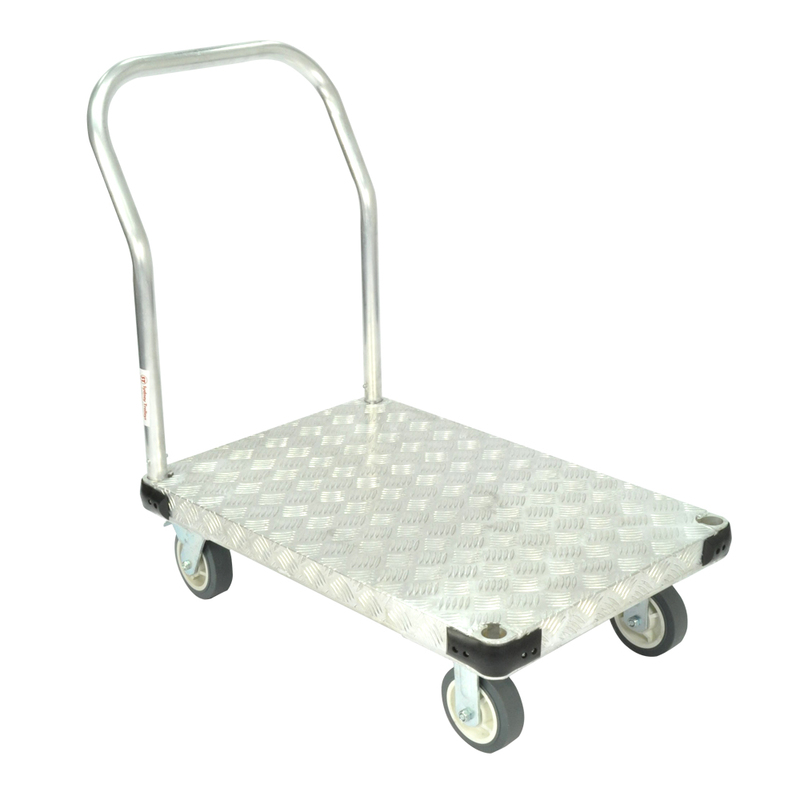 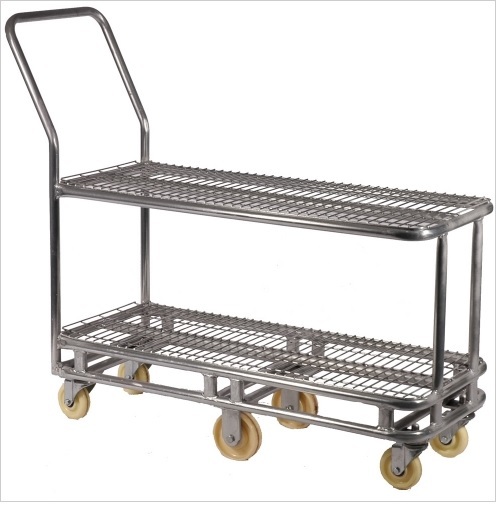 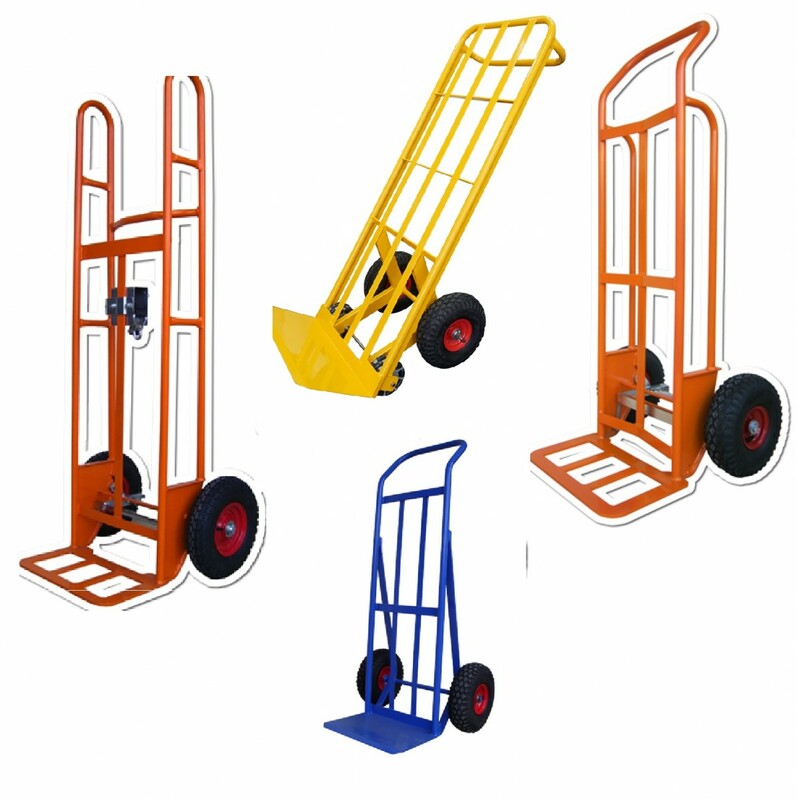 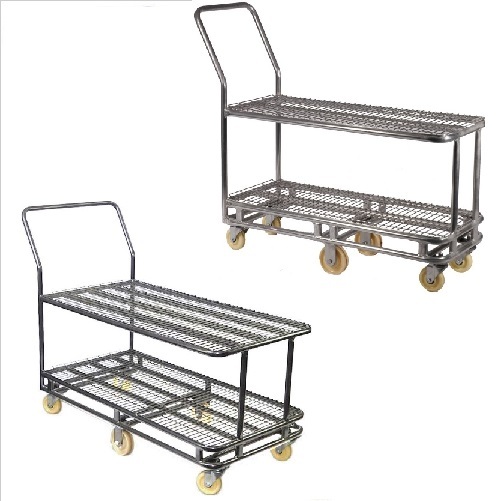 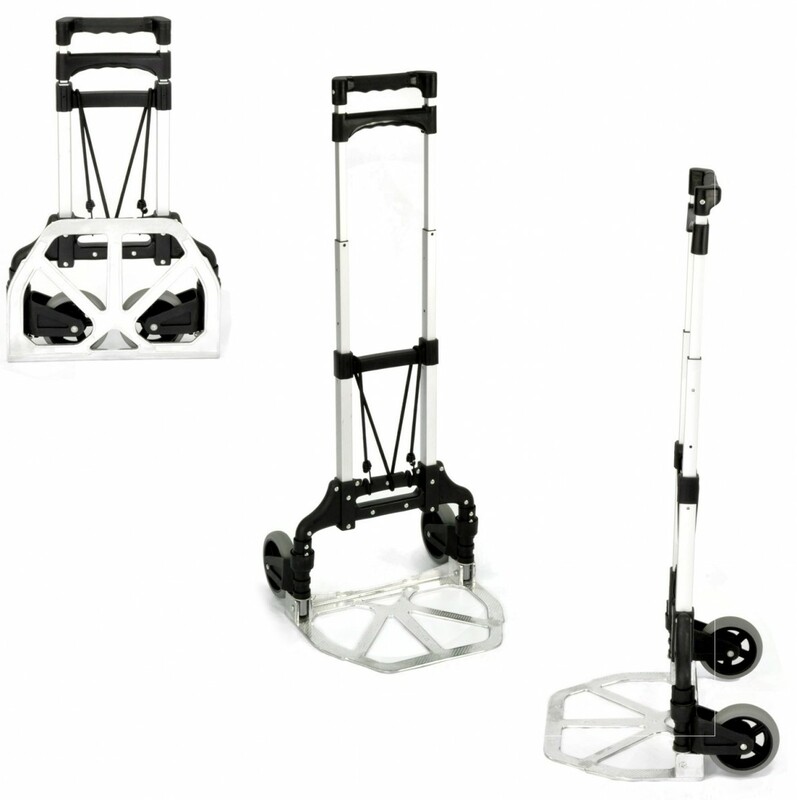 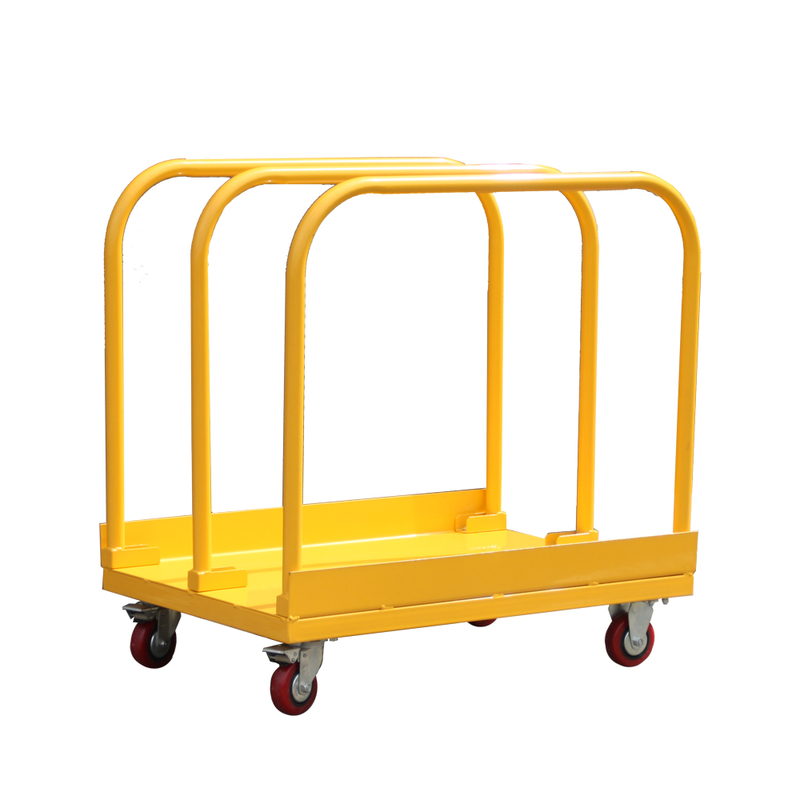 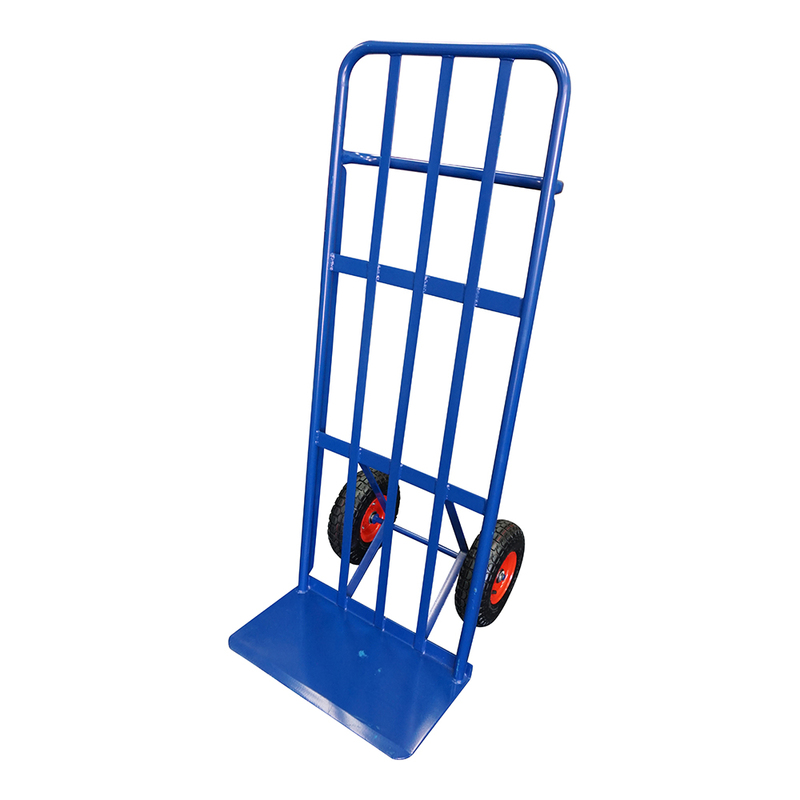 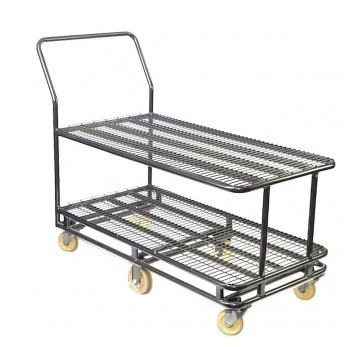 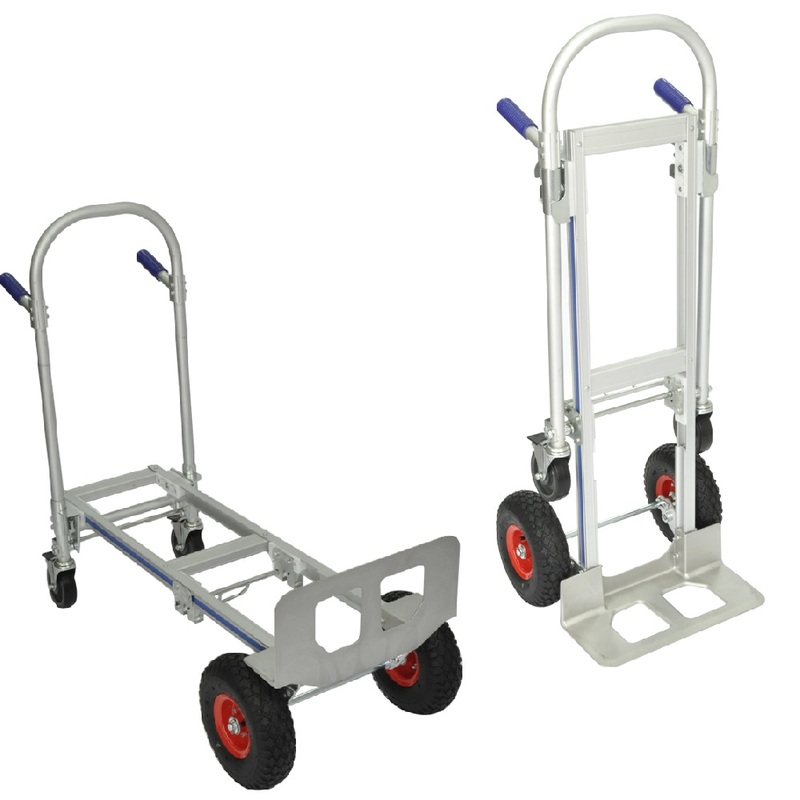 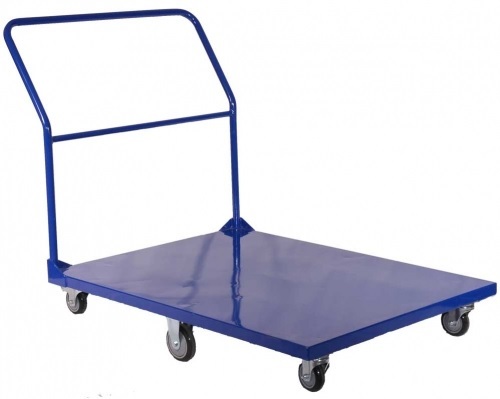 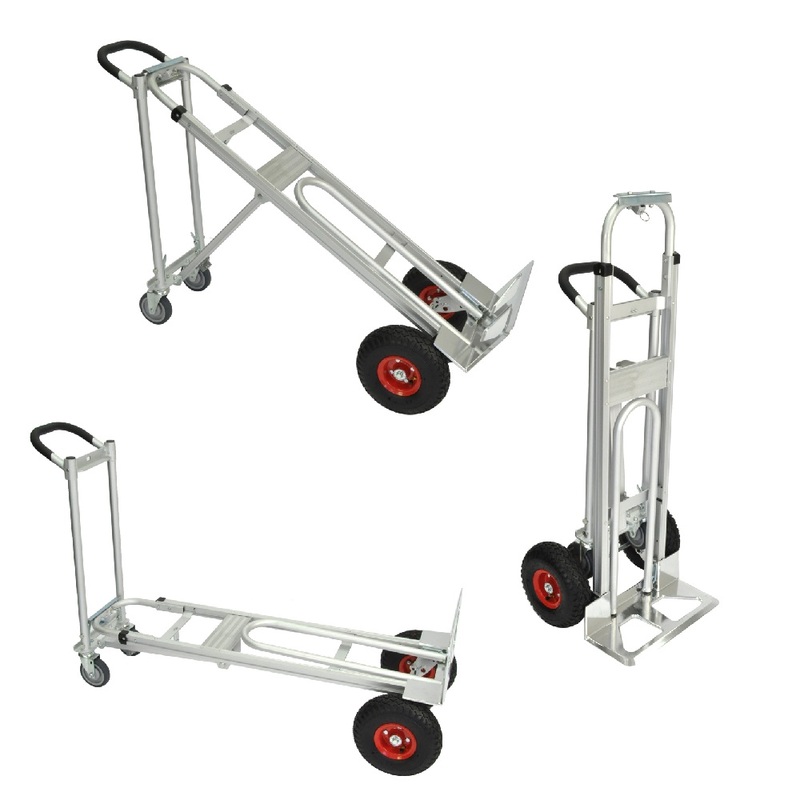 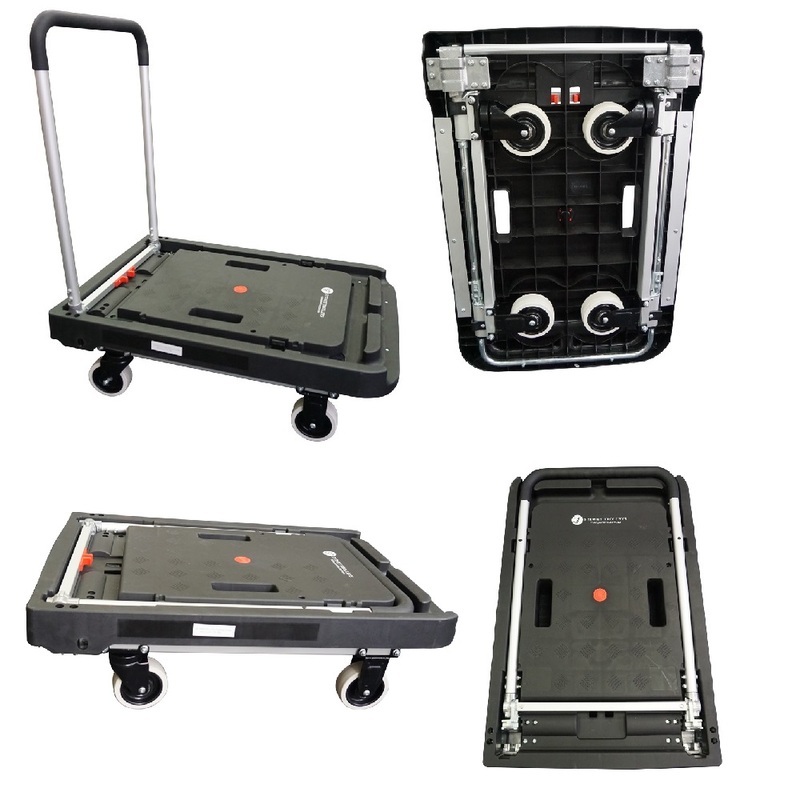 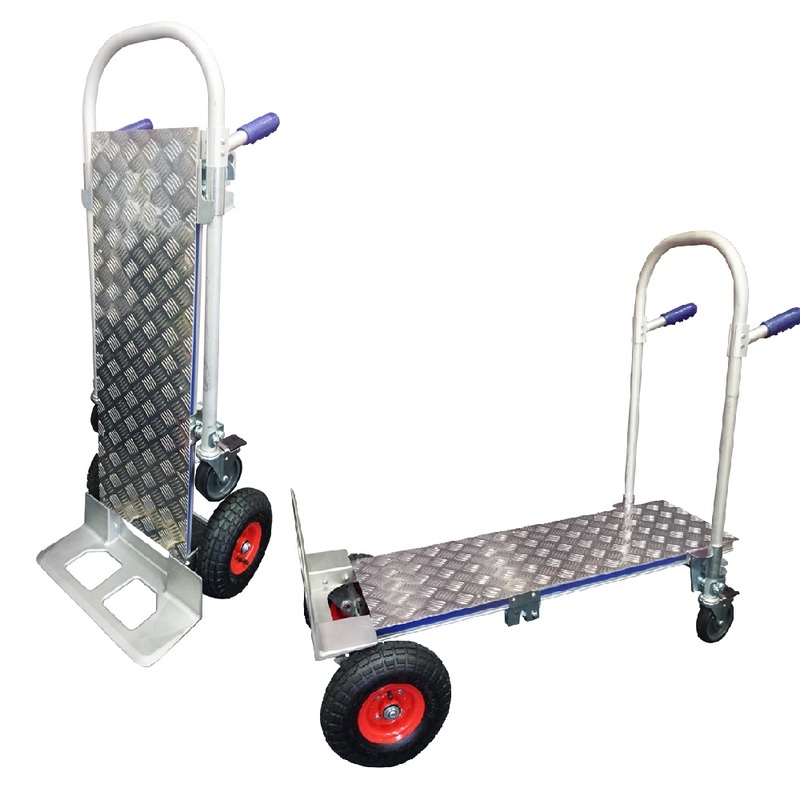 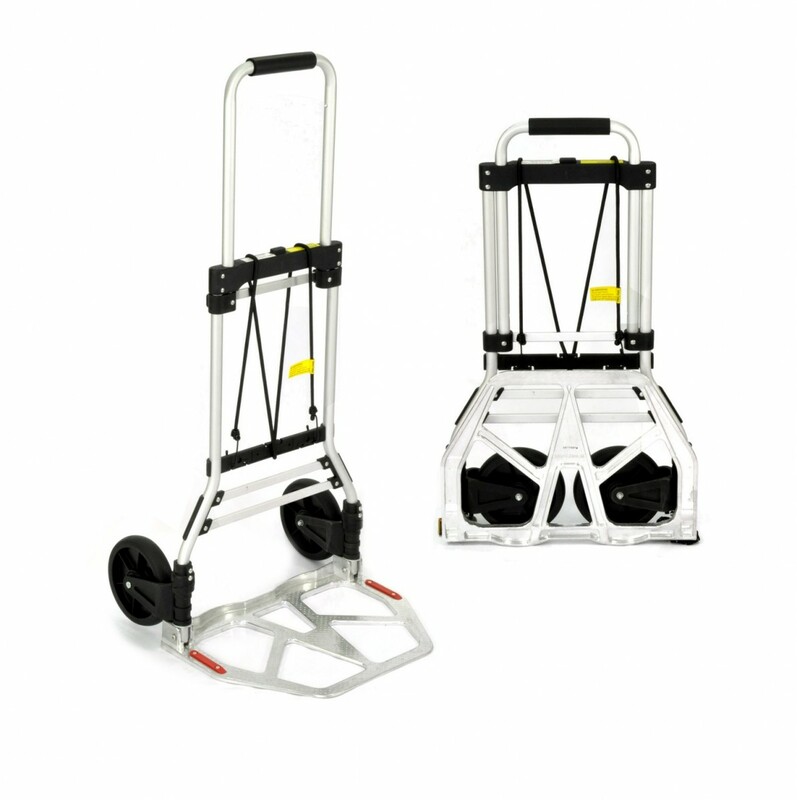 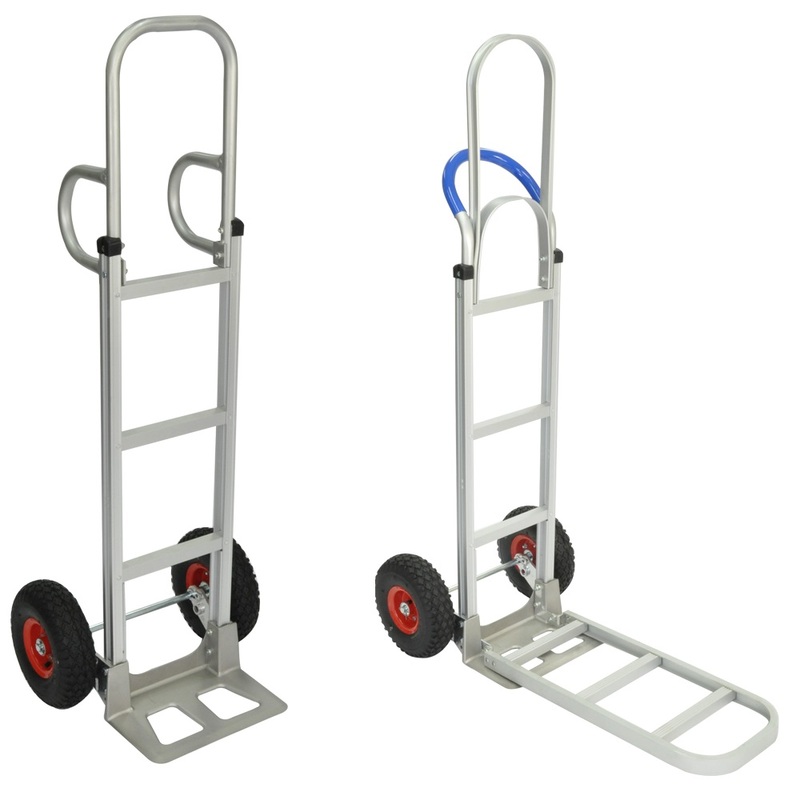 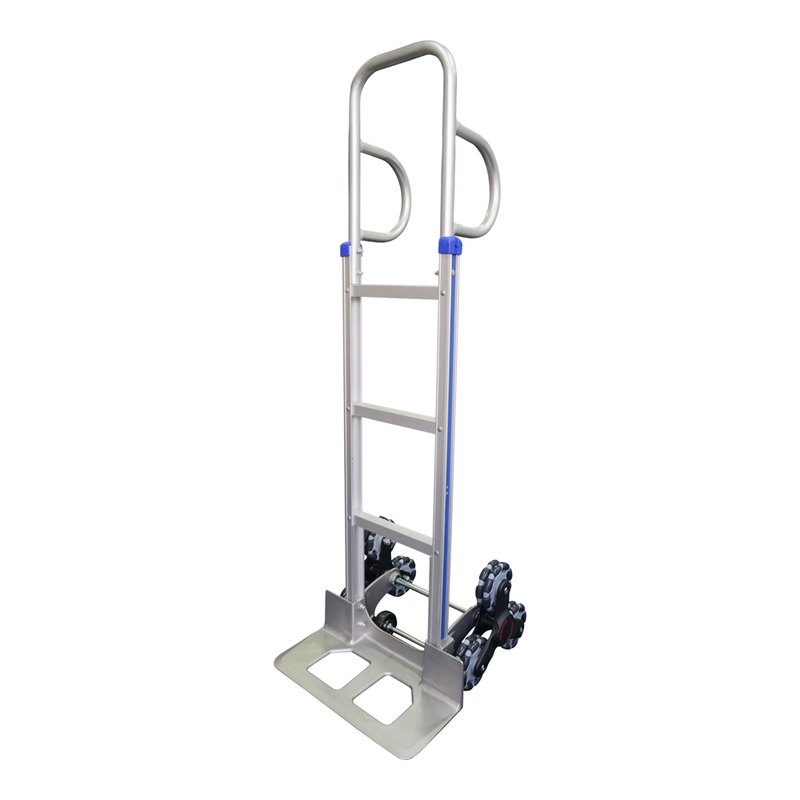 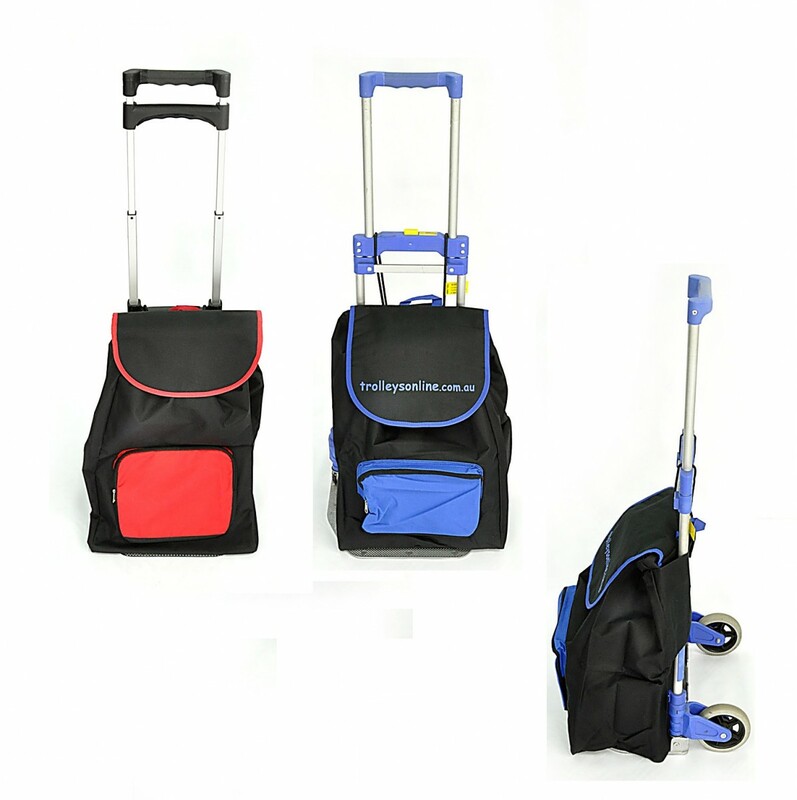 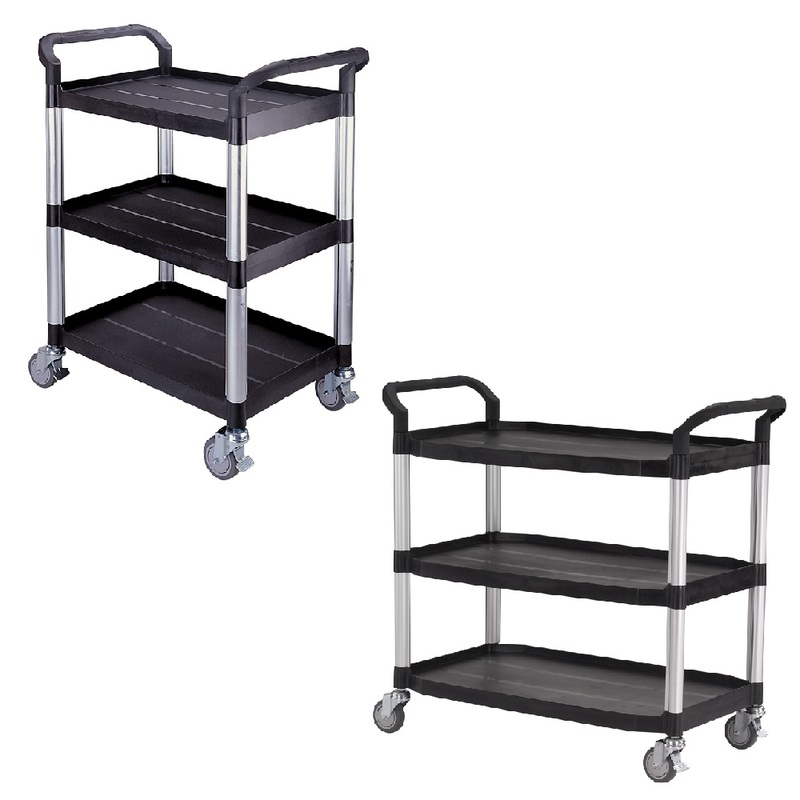 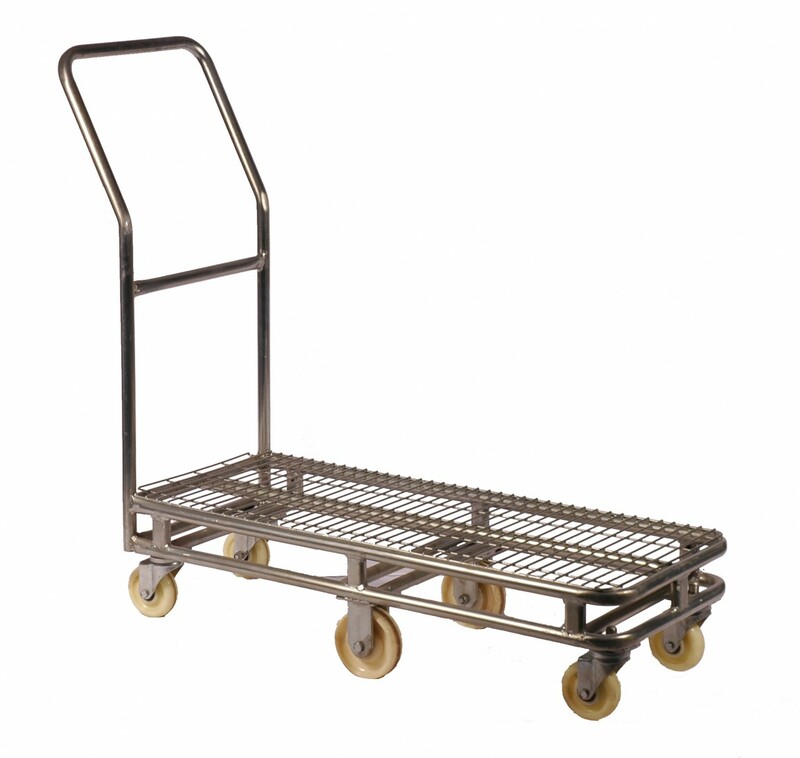 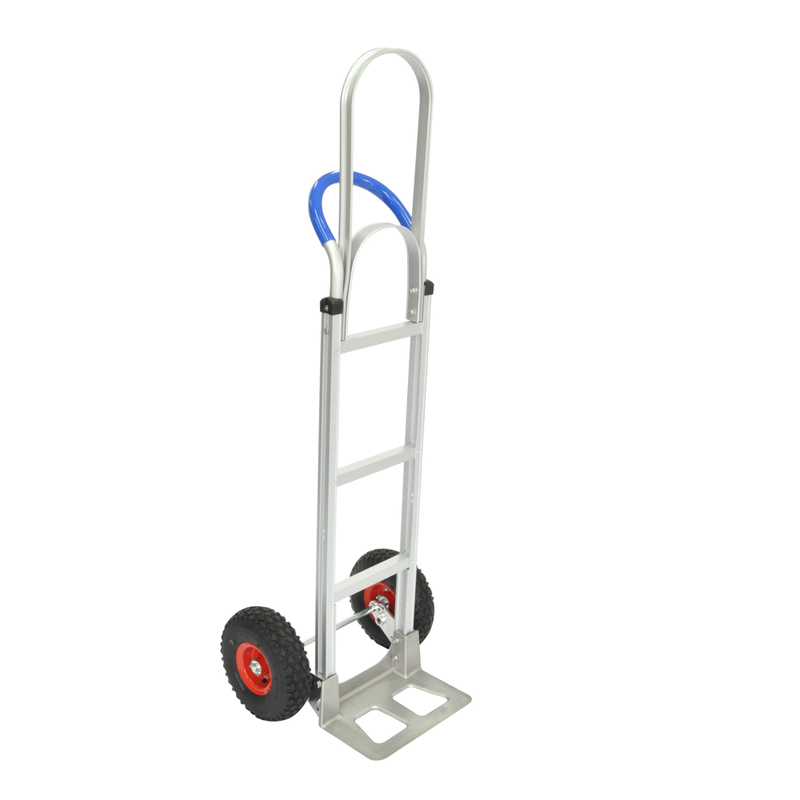 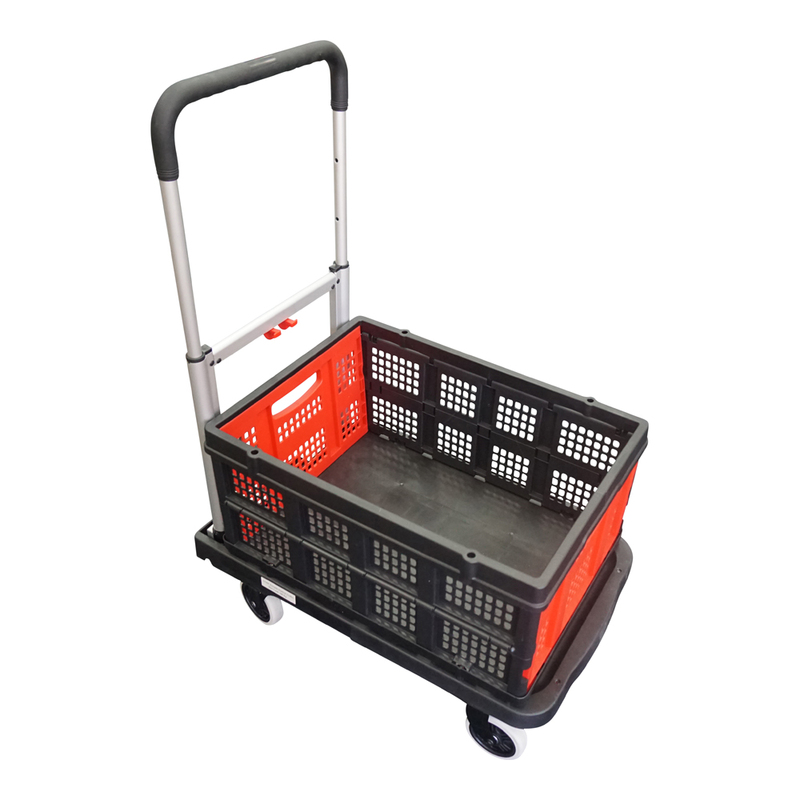 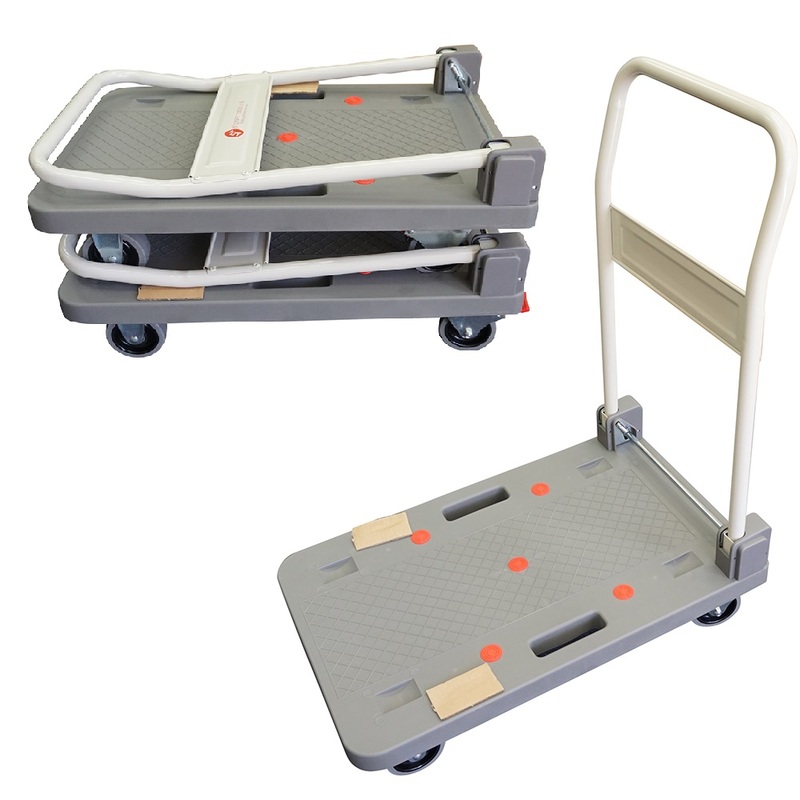 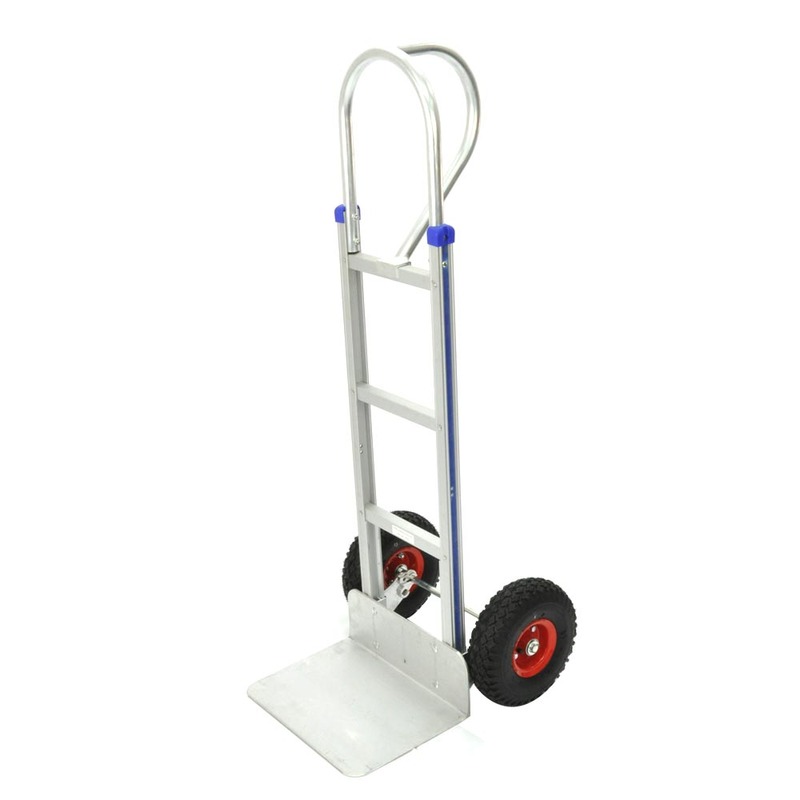 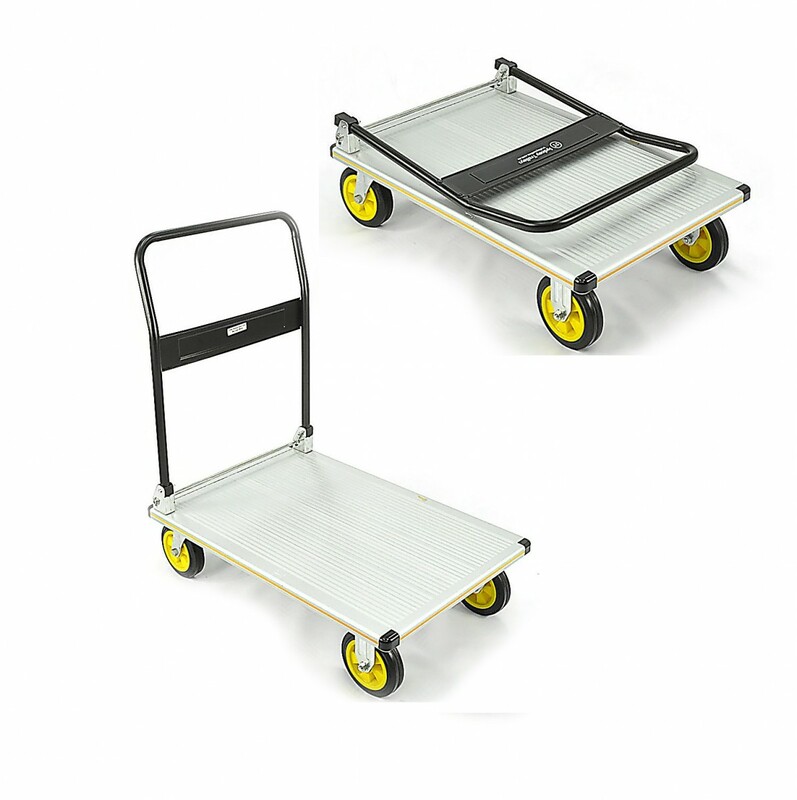 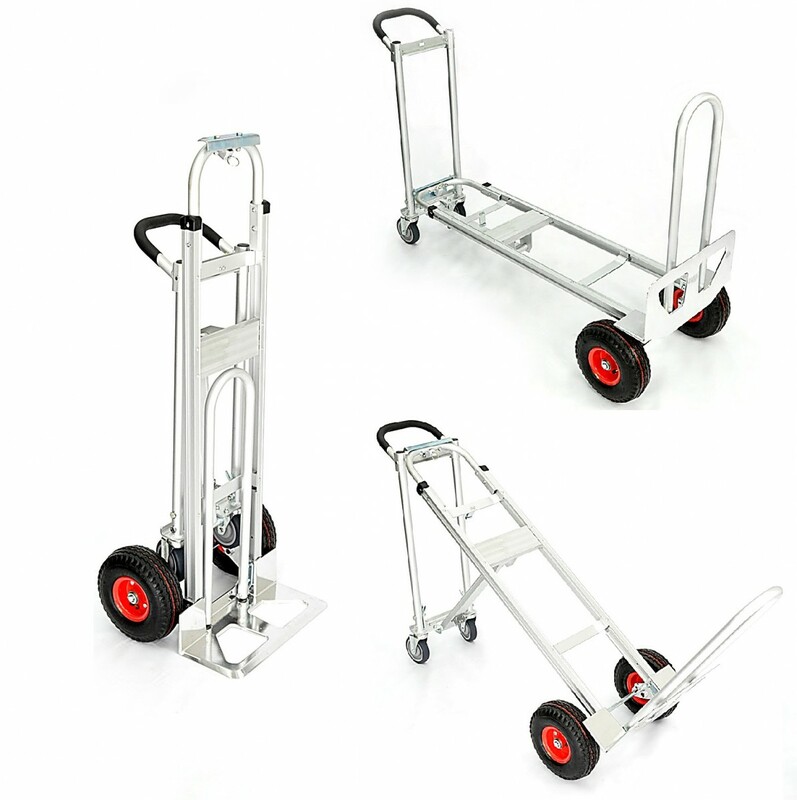 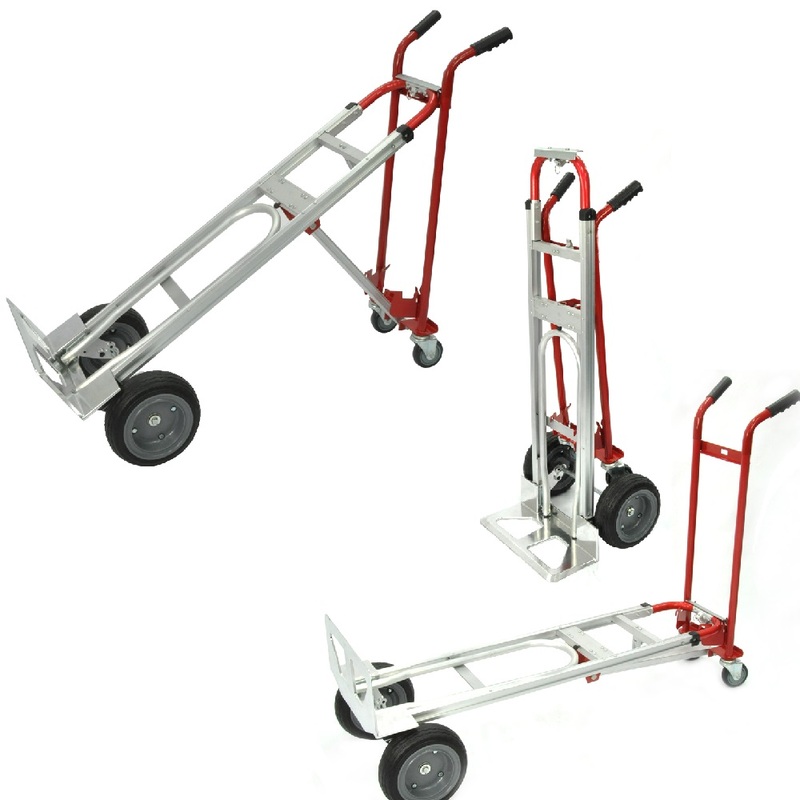 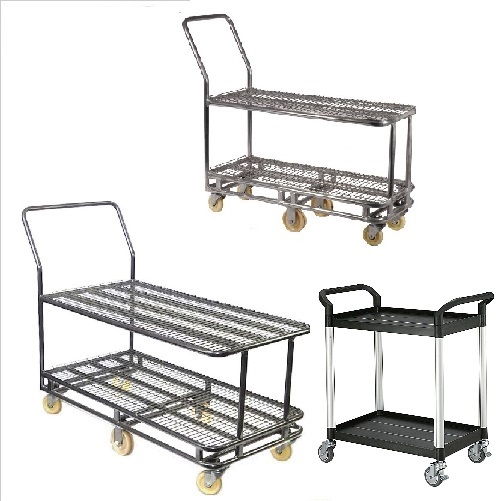 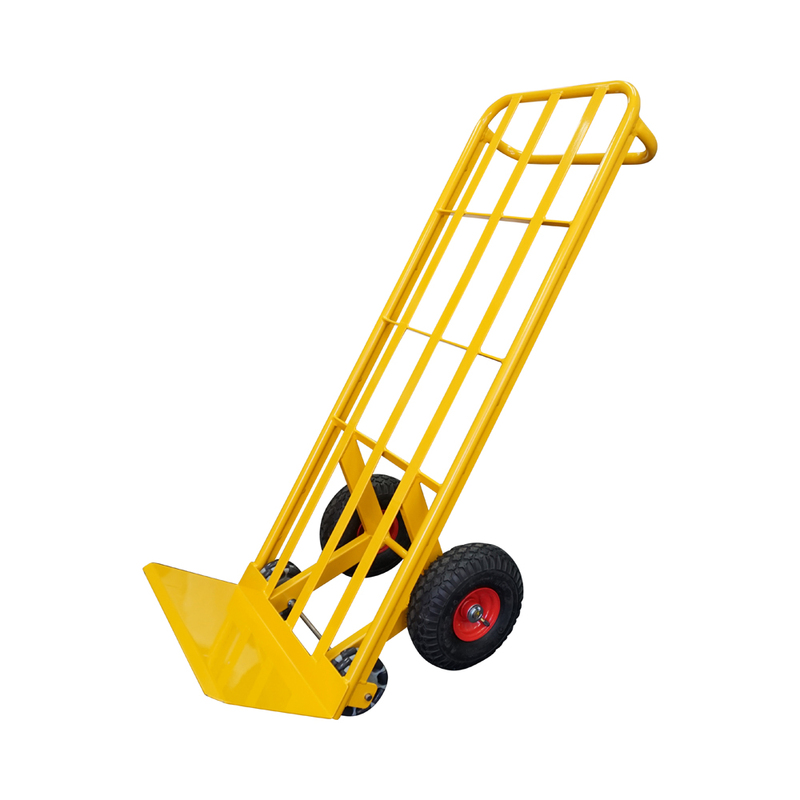 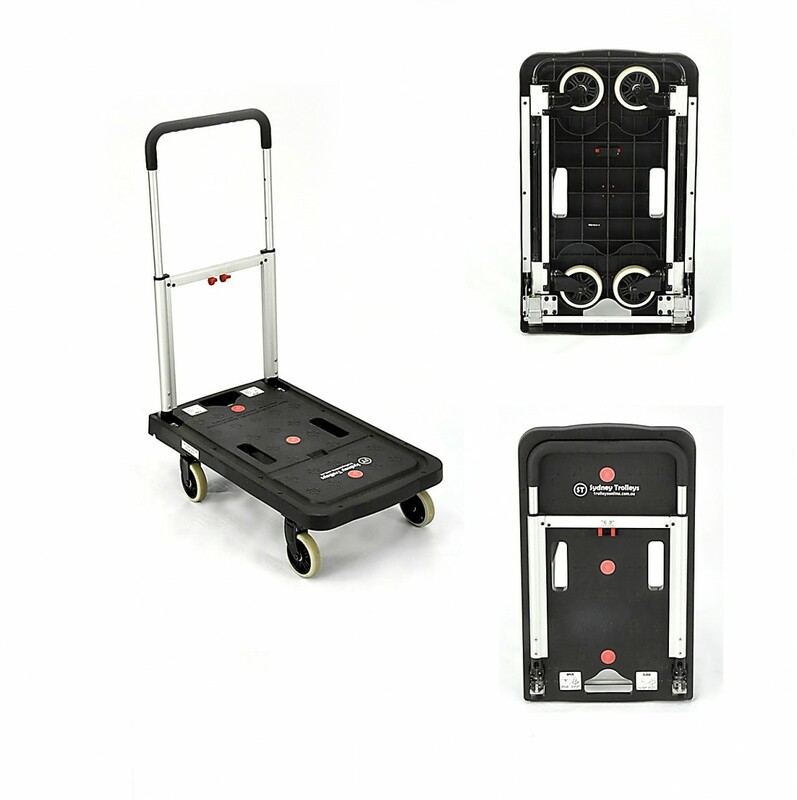 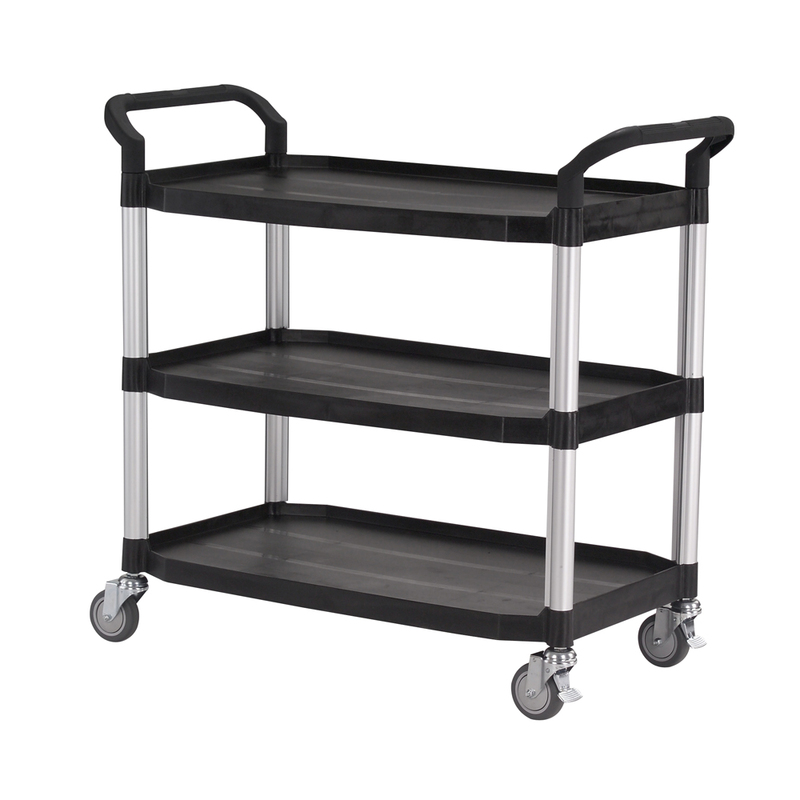 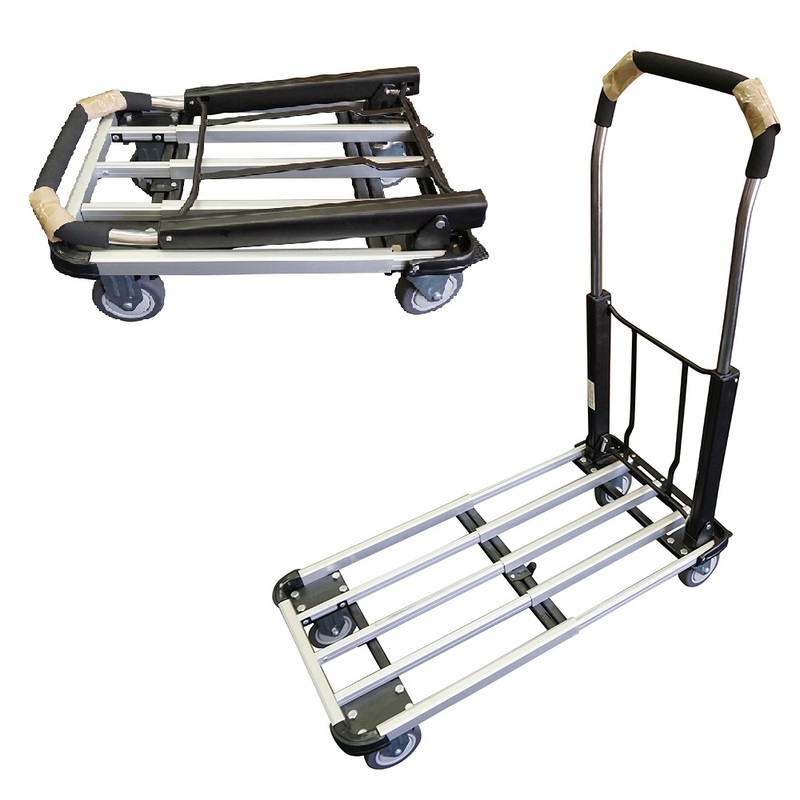 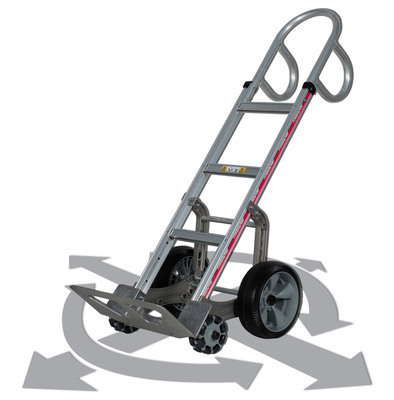 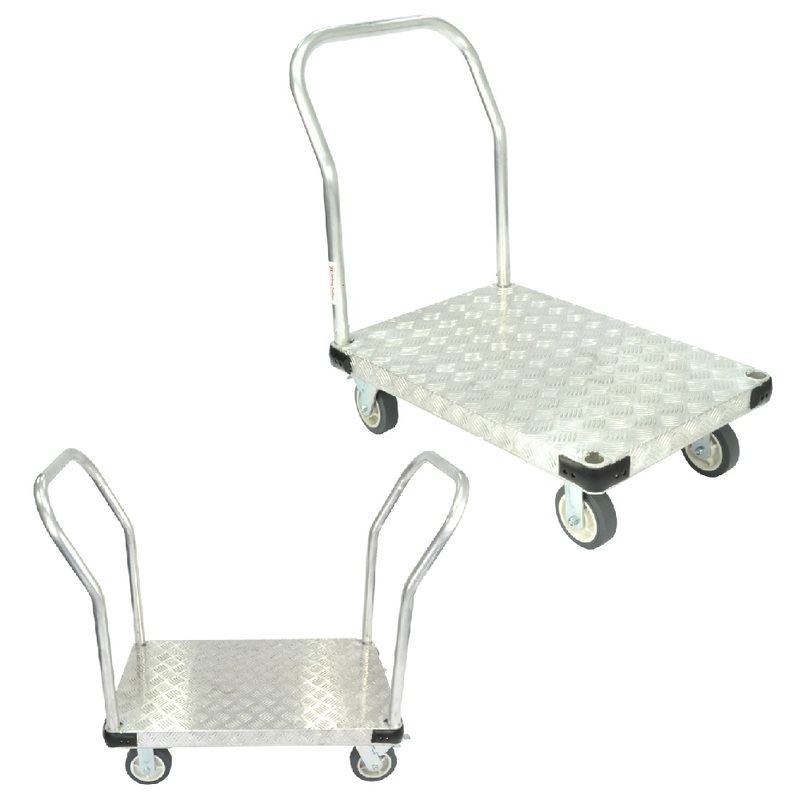 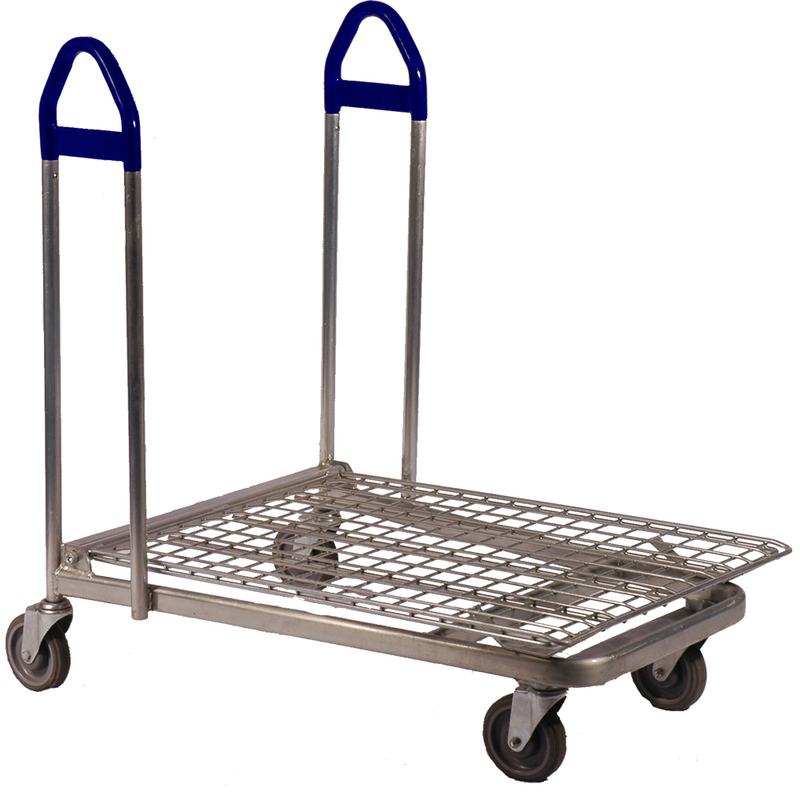 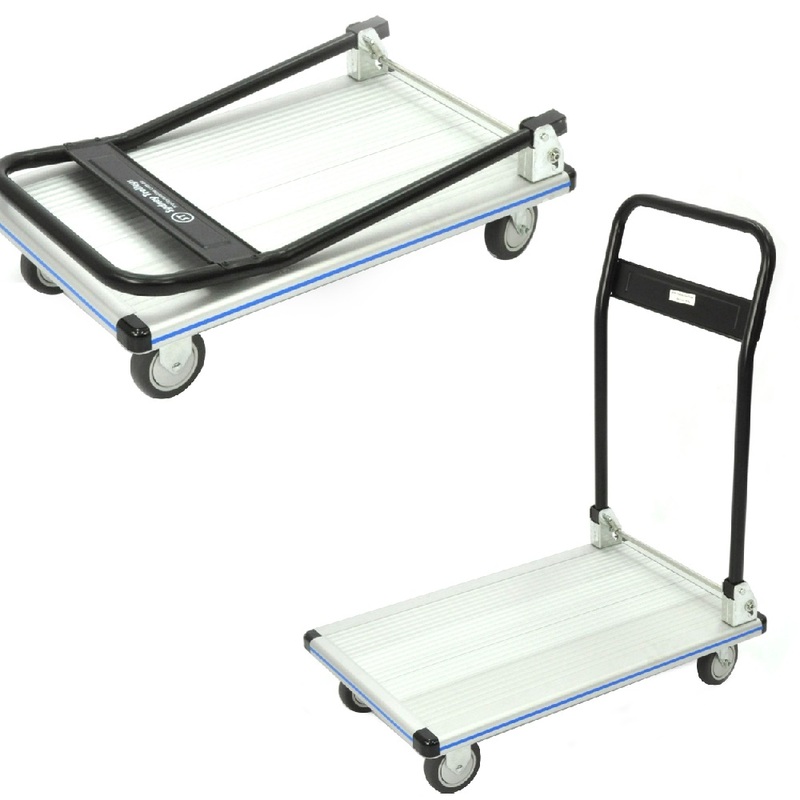 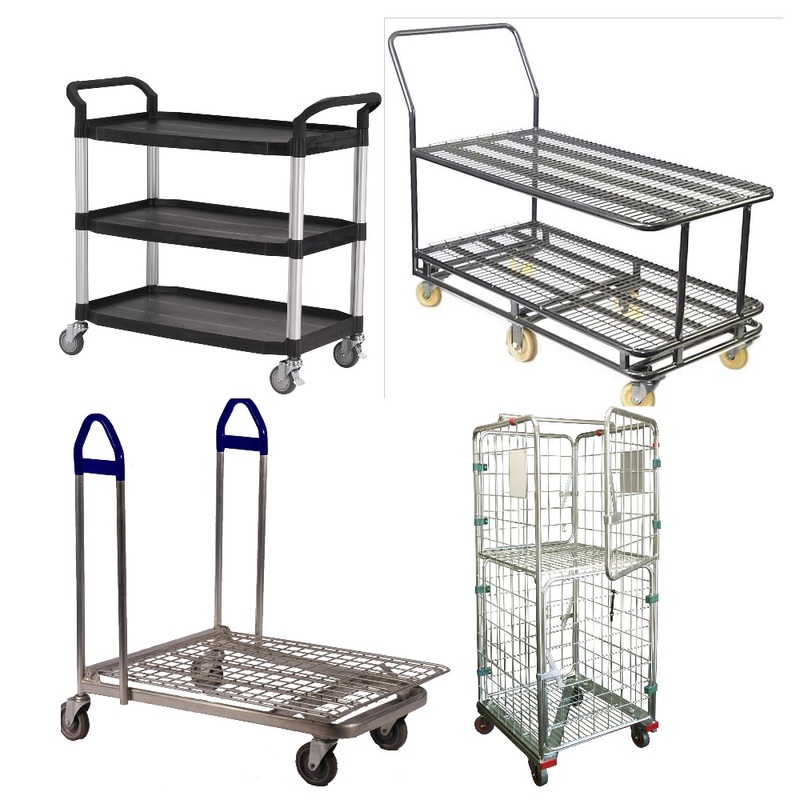 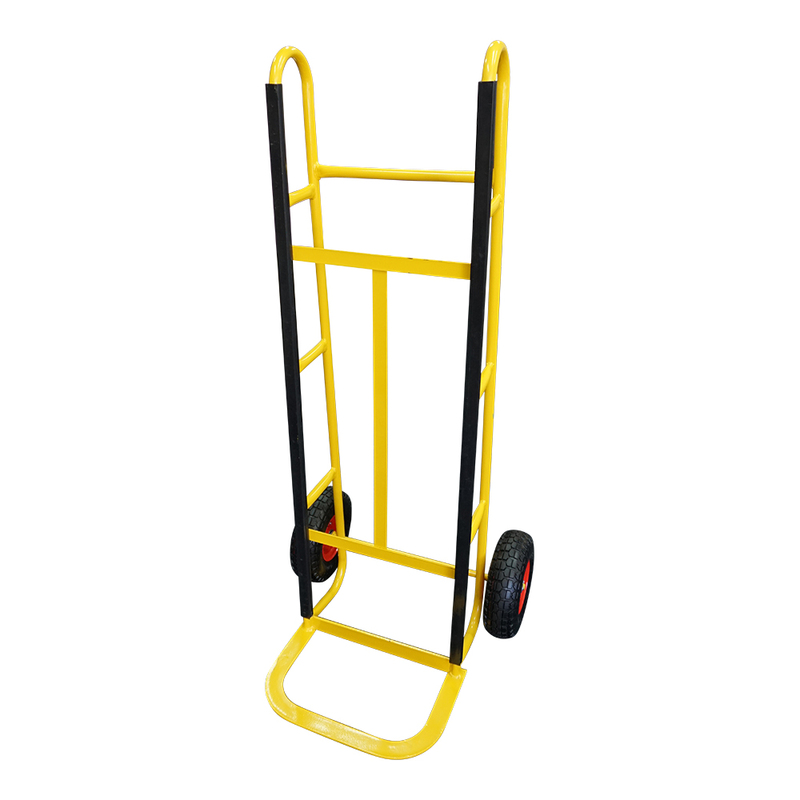 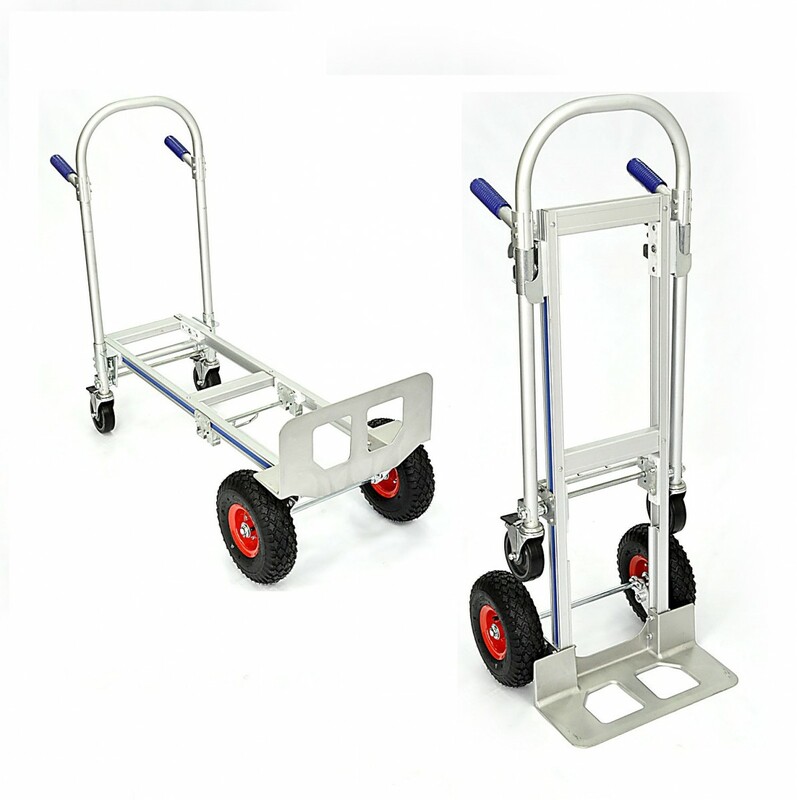 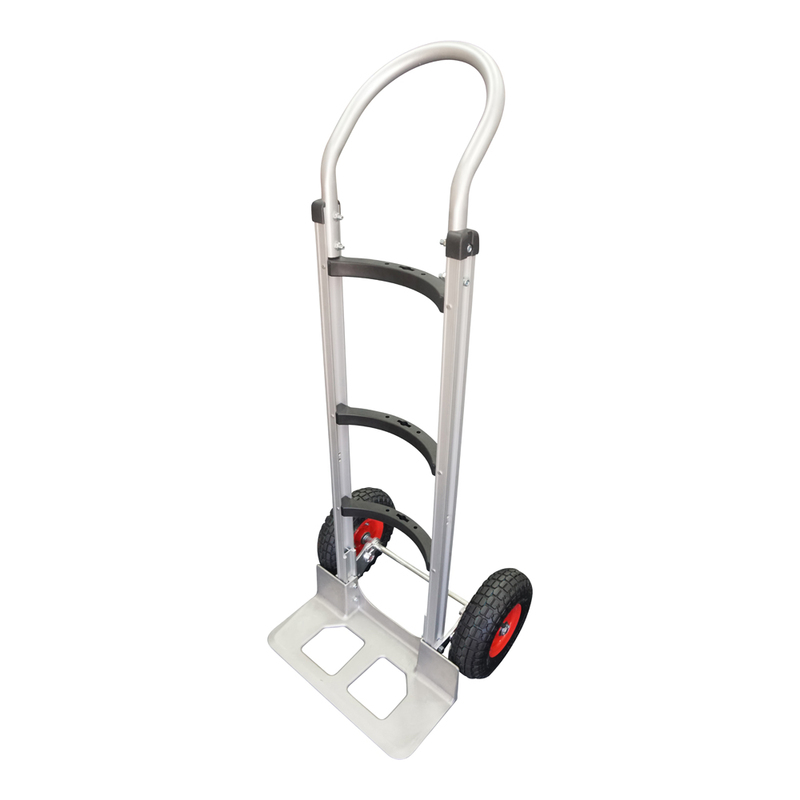 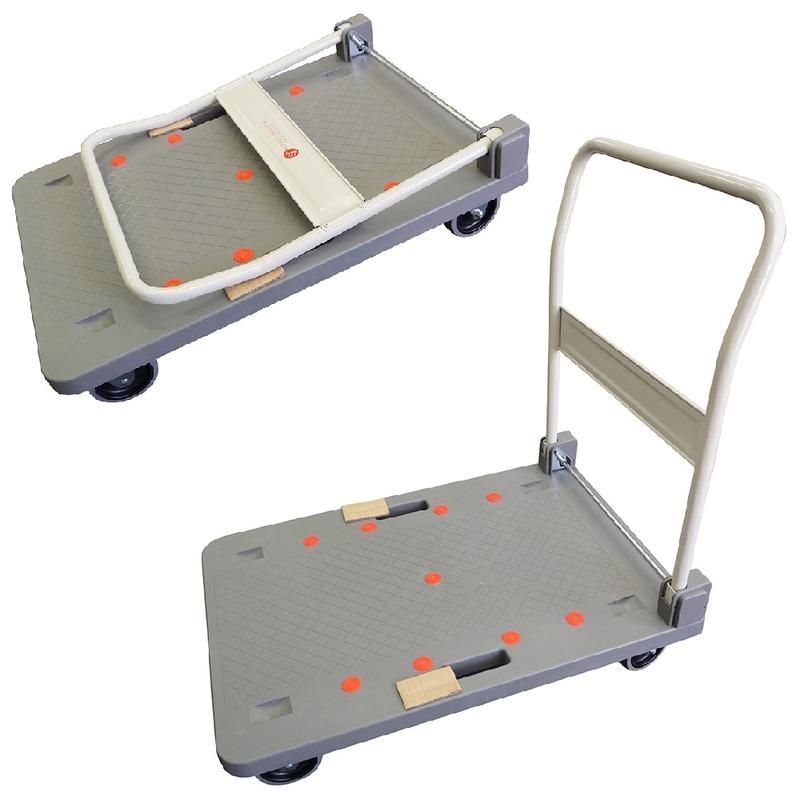 Comes with aluminium deck to keep items from falling between the frames in either platform or upright hand truck position. 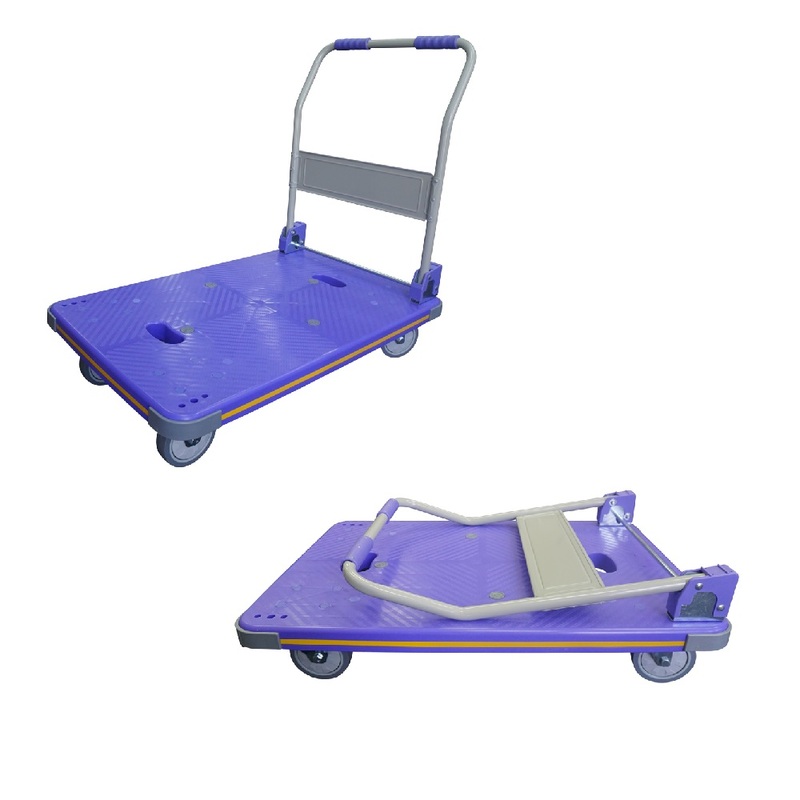 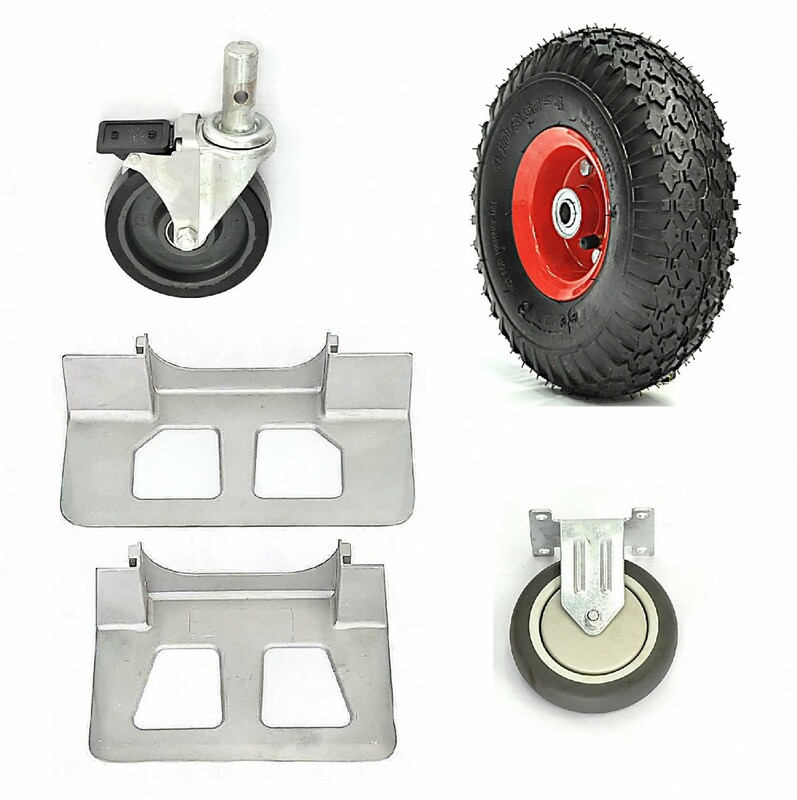 Non-skid treadplate surface.